Doctor Who writer Russell T Davies is to bring back one of the Doctor's most famous companions for a new children's TV series. The Sarah Jane Adventures on CBBC will star Elisabeth Sladen, who played Sarah Jane Smith opposite Jon Pertwee and Tom Baker between 1973 and 1976. The series kicks off with a one-hour special early next year. A third series of Davies' Doctor Who is due to air in spring 2007, following a Christmas special this year. Sarah Jane's Adventures will feature the investigative journalist fighting alien forces with help from her 13-year-old neighbour Maria, played by Yasmin Paige. "Children's TV has a fine history of fantasy thrillers - I loved them as a kid, and they were the very first things I ever wrote. So it's brilliant to return to such a vivid and imaginative area of television," said Davies. Actress Sladen, who appeared in a 2006 Doctor Who episode with tenth Doctor David Tennant, said she was looking forward to reprising her role. 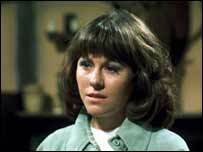 "I left Sarah Jane but she never left me. I can't wait to return to Cardiff to find out what's going to happen to her next," she said. In the one-hour special, Sarah Jane and Maria are brought together in their battle against a scheming Ms Wormwood, played by Samantha Bond. Filming begins on location in Wales in October. The series is due to air later next year.